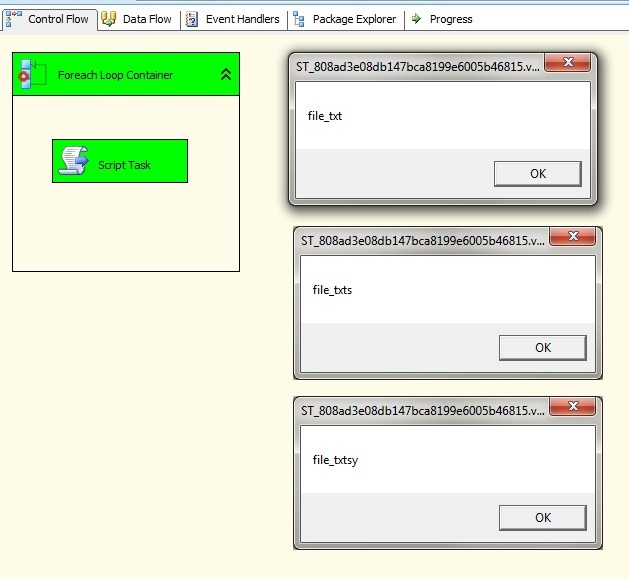 While working on a recent project for a customer that involved importing both Excel 97-2003 and Excel 2007/2010 files, I was a little surprised to discover that the Foreach Loop File Enumerator will return both *.xls and *.xlsx files even if you only specify to return *.xls files. 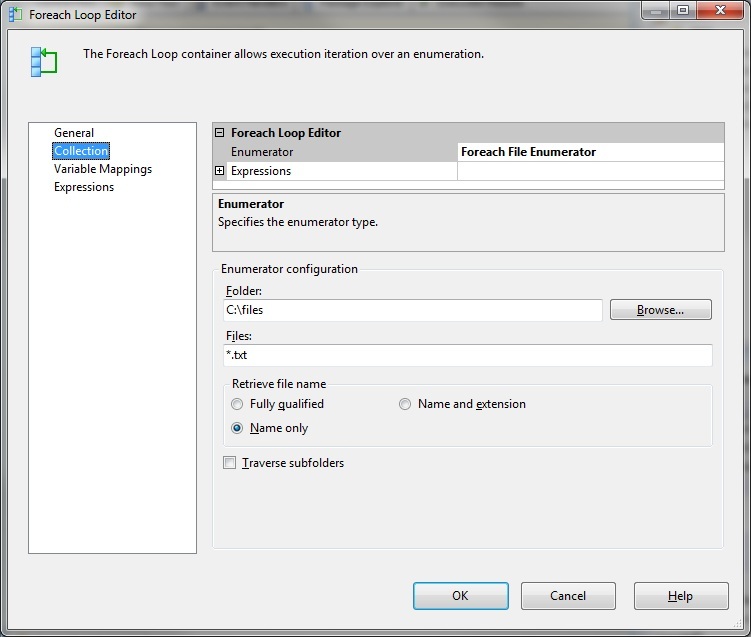 Next, I created an SSIS Package with a Foreach Loop Container with Foreach File Enumerator as the enumerator type and specified *.txt as the file mask. 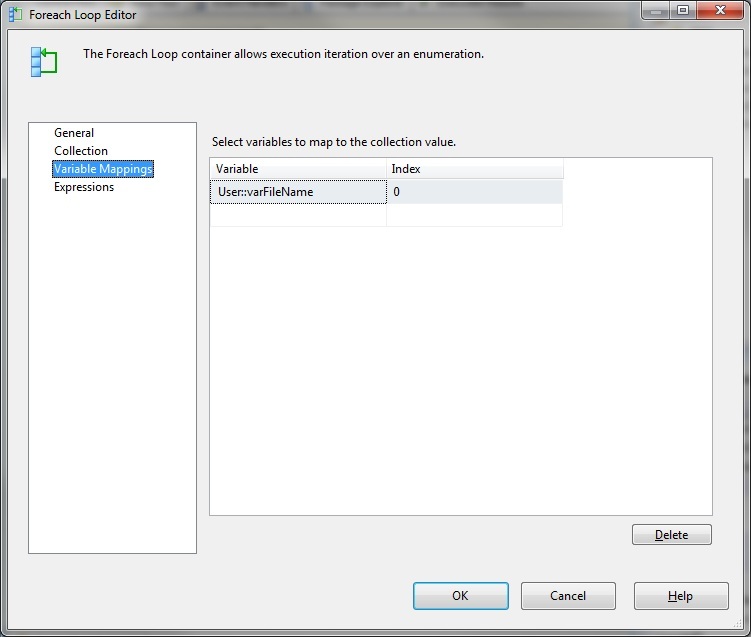 The file names read by the Foreach Loop Container are being assigned to a user variable called varFileName. 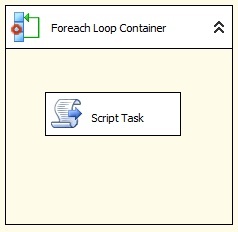 Then, inside the Foreach Loop Container I added a simple VB Script Task that returns the value of the user variable varFileName inside a message box. Interestingly, we get the same result in D.O.S. if we specify *.txt or *.txt*. I assume then, that the Foreach Loop file enumeration behaviour may be bound to the D.O.S. output of the Operating System. 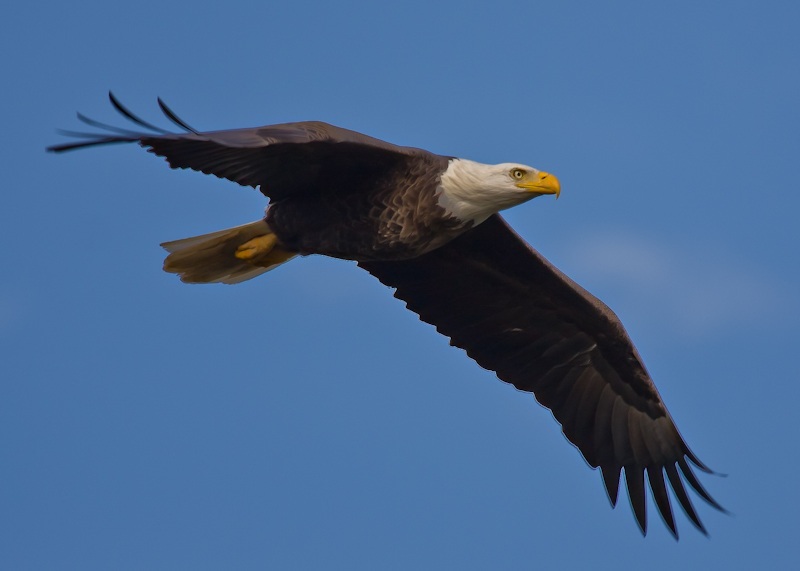 The current version of D.O.S. 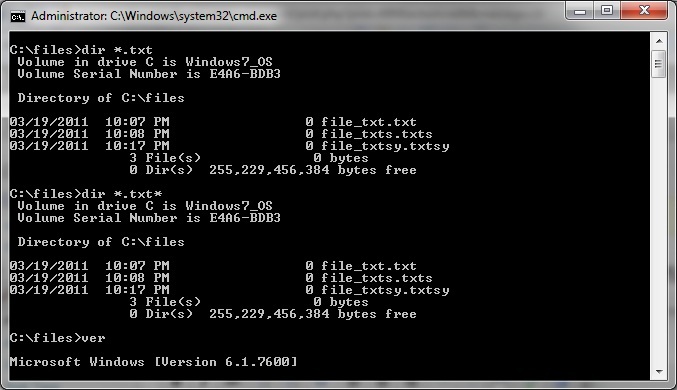 on my Windows 7 machine is 6.1.7600. With the introduction of support for more than three letter extensions, this little issue might have been overlooked in D.O.S. for the <dir> command. 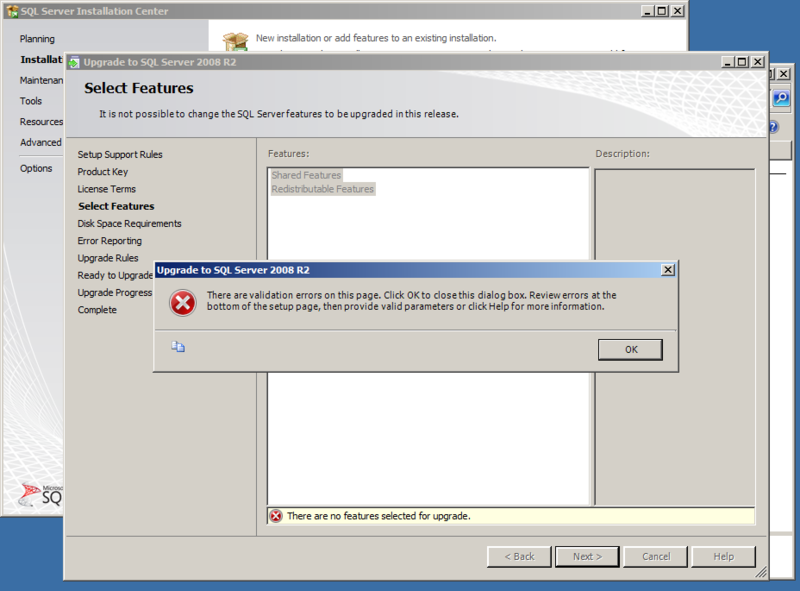 There appears to be no way to specify, “Give me .xls but not .xlsx”. 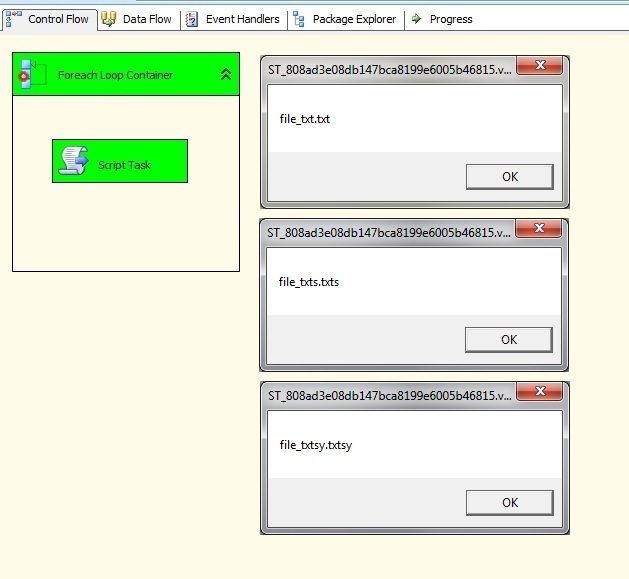 So, if you require to only limit your control flow execution for files with a specific extension, as in Douglas’ example .xls but not .xlsx, then your alternative will be to assign to a separate variable the extension portion of the file name contained in the varFileName variable of my SSIS package above. 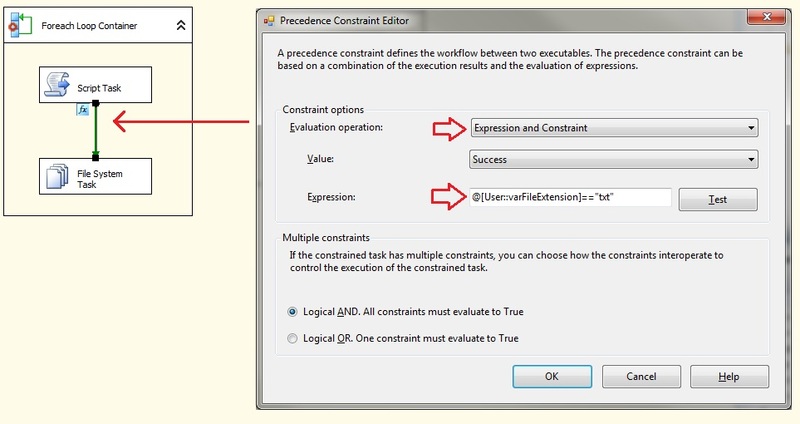 Once you capture the file extension in a variable, you can use a precedence constraint to restrict further control fow task execution for files of a specific file extension.